Data Visualization (also called "dataviz") tools help people understand the significance of data by placing it in a visual context. Patterns, trends and correlations that might go undetected in text-based data can be exposed and recognized easier with data visualization services. While many Data Collection tools have Data Visualization features, the term on this website applies to tools for which data visualization is a primary function. For example, Tableau Public, Infogram, and Google Forms are designed explicitly for data visualization, while tools such as engageSPARK and Crimson Hexagon, while possessing some visualization features, are limited because they can only visualize information that has been collected by that service or possess only a few visualization options. It should be remembered that many datavis tools are non-digital (paint is used to create murals or street art that conveys some message or information). Some tools like Google Sheets, Tableau Public and Excel create charts and graphs that can be embedded into documents or websites. 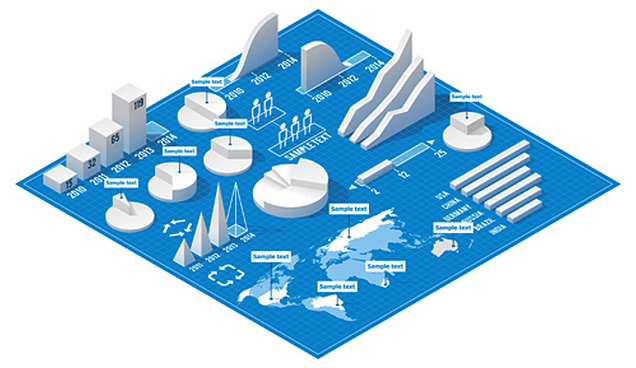 Some services create Infographic visualizations, long-form collections of visualizations that are supposed to be viewed in an email or on a website. Mapping tools are a subset of Data Visualization. One of the advantages of Data Visualization is that in some cases it can reduce the need for the audience to be literate. Golda Stragies visualizations try to use visual cues so as to be readable by low-literacy audiences. See blog entry, "exploratory vs explanatory analysis" on StorytellingWithData.com. This will help you decide the best type of visualization to use. Infographics are closely related to data visualization and may be the best choice if your primary aim is to persuade or surprise. Visage.co nicely explains the differences between data visualization and infographics. People use many types of media to tell stories with data. Your choice of medium should depend on how, when, and when you expect your audience to engage with your visualization. Visualization Tasharuk's Data Visualization page (English, Arabic, Farsi) has guides for data visualization best practices. The part &quot;|Tool Class::Data Visualization&quot; of the query was not understood. Results might not be as expected. This page was last modified on 19 June 2017, at 12:47.